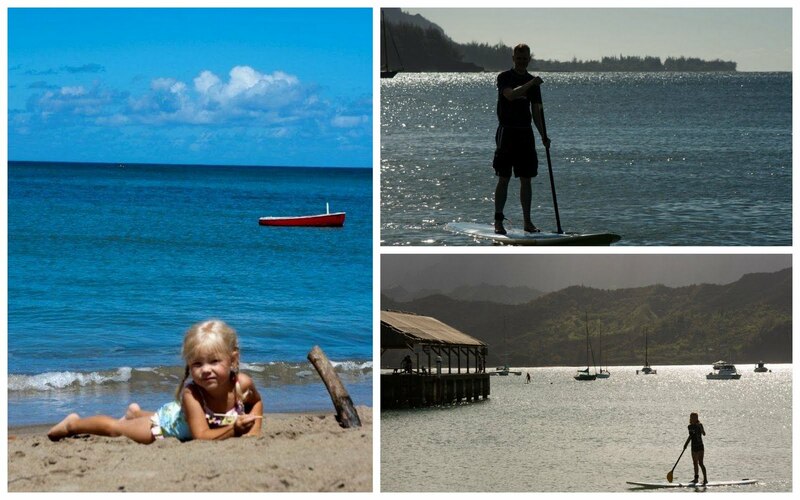 Last week we attempted paddle boarding at Hanalei Bay. It's relatively easy to pick up as long as you have good balanace and remember to point the paddle in the right direction. My balance was not too bad but somewhere along the way I inadvertendly flipped my paddle around and I had the worst time trying to navigate around. The wind pushed me all the way to the boats docked on the bay and I began to calculate in my mind whether the cost of the paddleboard was worth the struggle to get back to shore. In the end I made it back. I was left with mixed feelings about the whole thing. I plan on trying it again before we leave.